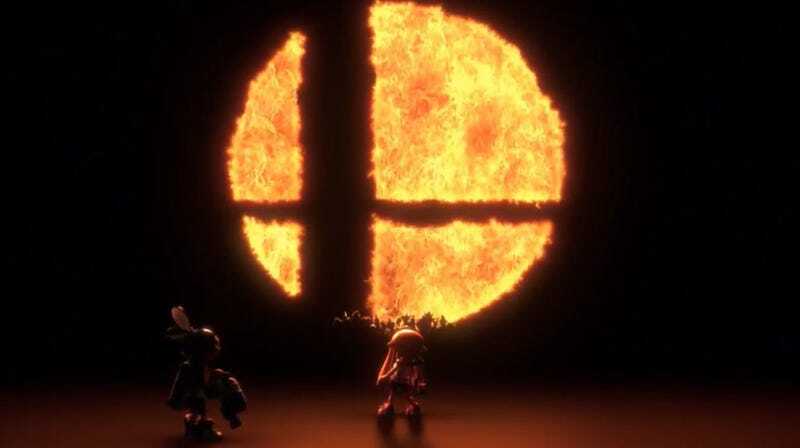 Today, Nintendo officially announced that Super Smash Bros. is coming to Switch. Equally exciting: the original Luigi’s Mansion is getting a 3DS remake! It was a port-heavy Direct this time around, with some cool news tucked in around the edges. Here’s everything Nintendo showed. Super Smash Bros. is coming to Switch. Not the most surprising announcement, given how perfect the Switch seems like it’d be for portable Smash tournaments, but it’s still cool to have it confirmed. The teaser in the Direct showed the squid kids from Splatoon stumbling upon the rest of the Smash cast, so it’ll be interesting to see how they stack up. Super Smash Bros. will hit Switch in 2018. Maybe this will finally be my moment to get into Smash. Dillon’s Dead-Heat Breakers Is Coming to 3DS. Dead-Heat Breakers will be another game in the Dillon series, and this one lets you bring in your own character to play alongside Dillon. If you (like me!) really liked Dillon’s Rolling Western, you’re probably stoked about this. There’ll be a demo on the eShop on May 10th, and the full game is out on May 24th. The original Luigi’s Mansion is getting remade for 3DS. According to Nintendo, this Amiibo will let you “perform the popular ‘praise the sun’ gesture with reckless abandon.” I only own one Amiibo but... this might be my second. Dark Souls Remastered hits Switch on May 25. Captain Toad: Treasure Tracker is coming to Switch. I heard nothing but good things about this game, but didn’t play it when it was on Wii U. It’ll get some new levels based on Super Mario Odyssey, and looks extremely cute. The port will be out on July 13, and is also coming to 3DS. South Park: The Fractured But Whole is also coming to Switch. I only played a bit of this on PC, and it was immediately apparent that it’d be much better to play on the go. It’s coming pretty soon, on April 24. Splatoon 2 is getting a bunch of new stuff. Nintendo showed off a teaser for the new “Octo Expansion” for Splatoon 2, which will be the first paid DLC for the game. It’s a single-player mode that casts you as an octoling named Agent 8 who has to make her way through 80 test facilities connected by a subway. Once you finish, you’ll get to play in multiplayer as an octoling. Nintendo also announced that because it also contains the number 8, 2018 is “The Year of the Octoling.” The Octo Expansion will cost $20 and will be out this summer. Splatoon 2 is also getting a 3.0 update in late April, which will introduce a bunch of new outfits, some new stages, and a new “X” rank. No More Heroes: Travis Strikes Again got some new gameplay footage. And that’s all she wrote. I’m a little bummed there was no Metroid Prime Trilogy Switch port announcement, but I can’t wait to check out that Splatoon DLC.